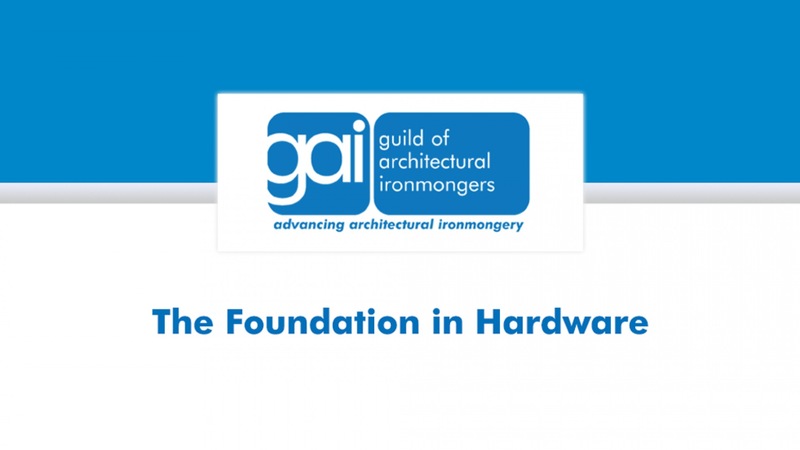 This presentation is a short overview of the GAI Foundation in Hardware education module. In just two and a half minutes it sets out to provide an appetiser of the style and the content of the module itself. The Foundation in Hardware is a new, online, one-stop introduction to door hardware aimed at those who don’t live and breathe architectural ironmongery as their day to day job. The course comprises twelve sections with ’test yourself’ questions at the end of each. It is intended to provide an insight into many of the aspects of architectural hardware, including hinges, closers, locks and furniture. There are also sections dealing with fire doors, escape hardware and a brief insight into the legislation surrounding all of these products. It is taken entirely online and includes an end of module exam. Success in this exam provides a Certificate of Competence in ‘The Foundation in Hardware’. Candidates can take as much or little time as they wish to complete the 12 sections, and, then they may take the exam until they achieve the pass rate of 80%+. Students can fit studying for the GAI Foundation Module around their work easily. The course is valid for 6 months only from date of purchase. There are 5 comment(s), please login or register to see and post your own.